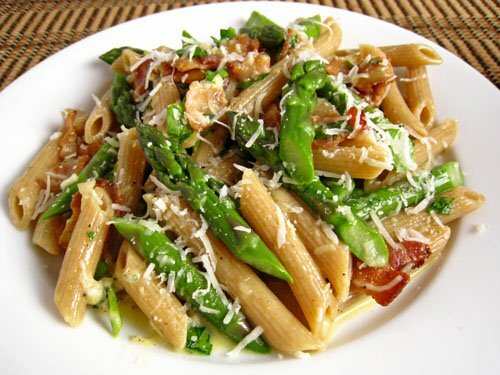 Cut the asparagus into penne shaped pieces. Drain most of the fat from the pan but reserve some to cook the asparagus. Add the asparagus, garlic and pepper and toss to coat in the bacon grease. Mix the egg yolk, heavy cream and pecorino romano in a bowl.